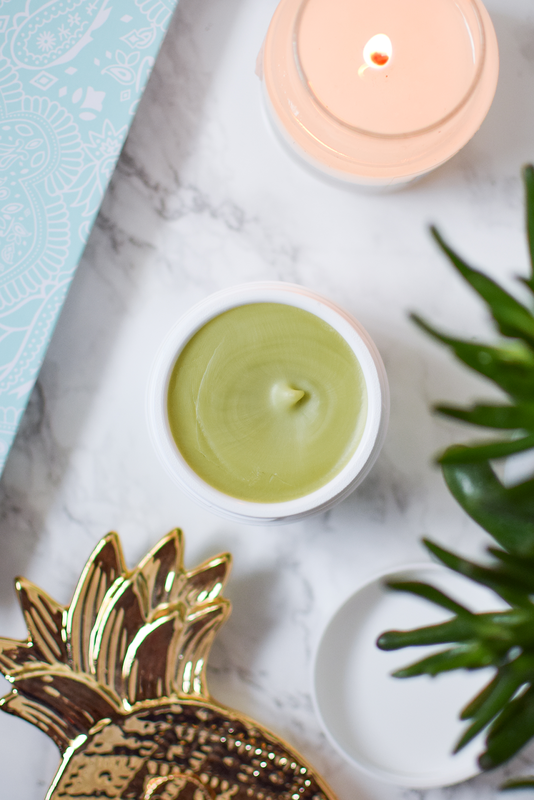 While I LOVE trying out new makeup releases and get excited every time I get my hands on a new lippie or the latest must-have palette, when it comes to skincare, I’m a bit of a one trick pony – sticking to the same old favourites year after year. However, when a Slovenian brand Hemptouch reached out to me, I just knew I have to give their products a go and put my test bunny hat on. Not only only do I have a soft spot for amazing business from my homeland, but they also bring something new to the table. 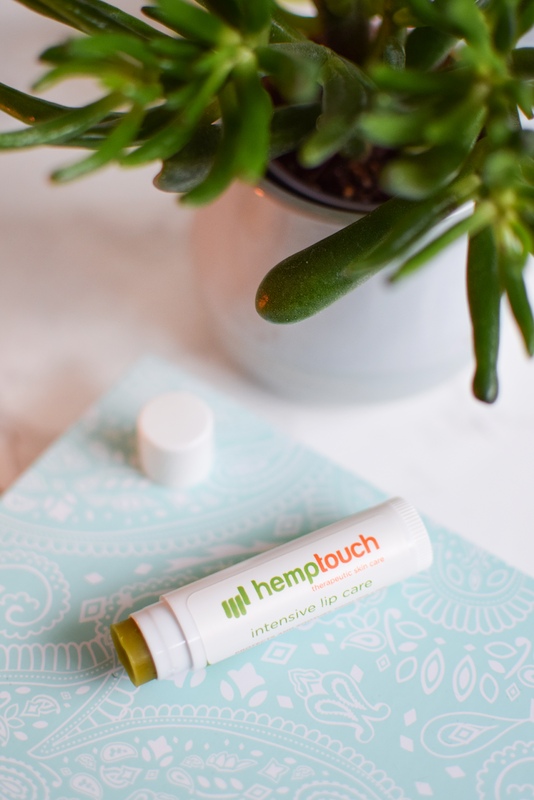 Their products, most of which are vegan, are completely natural and locally produced from an extremely versatile and healing industrial hemp, also known as cannabis sativa. If you’re not familiar with the science behind the CBD oil and its benefits, I suggest you to check out this page. They explain it far better than I ever would. As my skin is quite sensitive and dry, I’ve tried out three of their products targeted towards irritated skin. 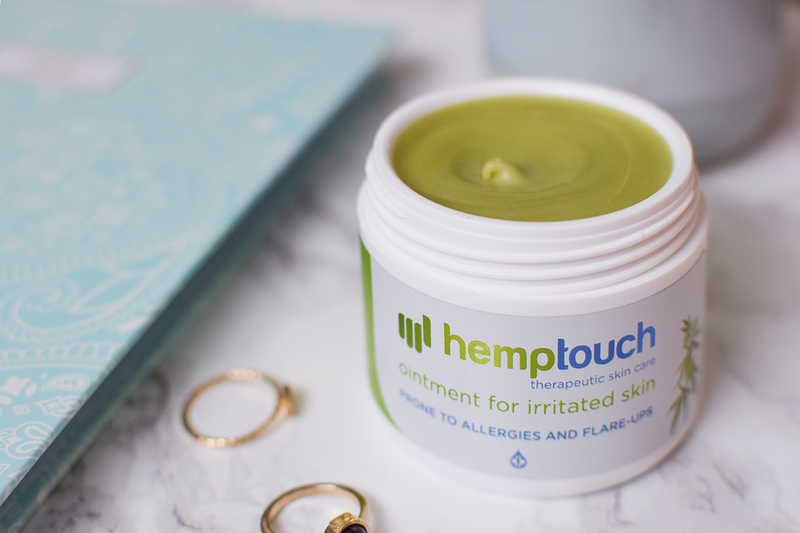 Let’s start with the Oinment for Irritated Skin, the consistency of which was a complete surprise to me – it’s rock solid, much like coconut oil in its solid state, but melts upon touch, so you can easily apply it with your fingers. It doesn’t sink in completely, though, as it’s quite thick and oily, so wearing it under makeup or throughout the day in general is a no-go for me. Instead, I’ve been using it before bed, mostly focusing on my cheek area to nourish my skin and keep my dry patches at bay. It can also be used on the rest of the body, and after two months, I’ve barely even made a dent in it, so 50 ml goes a long way. 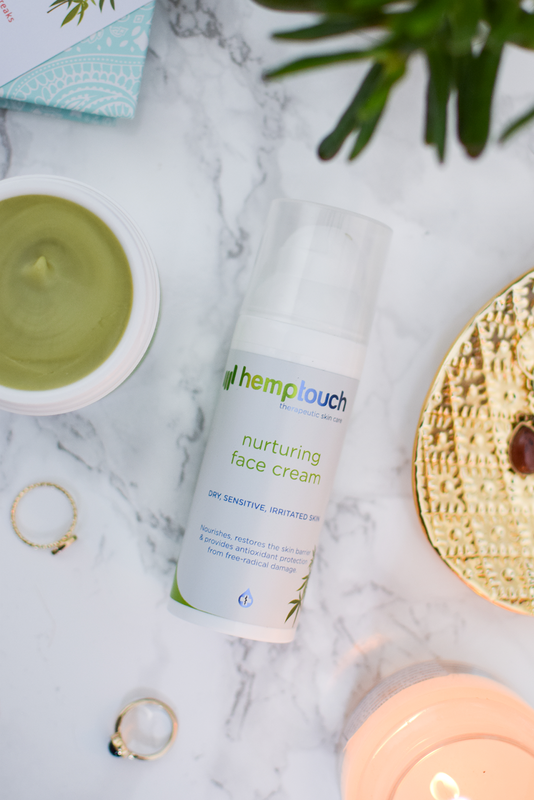 Hemptouch Nurturing Face Cream is also suitable for dry, sensitive skin, but unlike the oinment, it’s very much like your ‘regular’ face cream with a creamy consistency that sinks in straight away but still keeps your skin nourished. 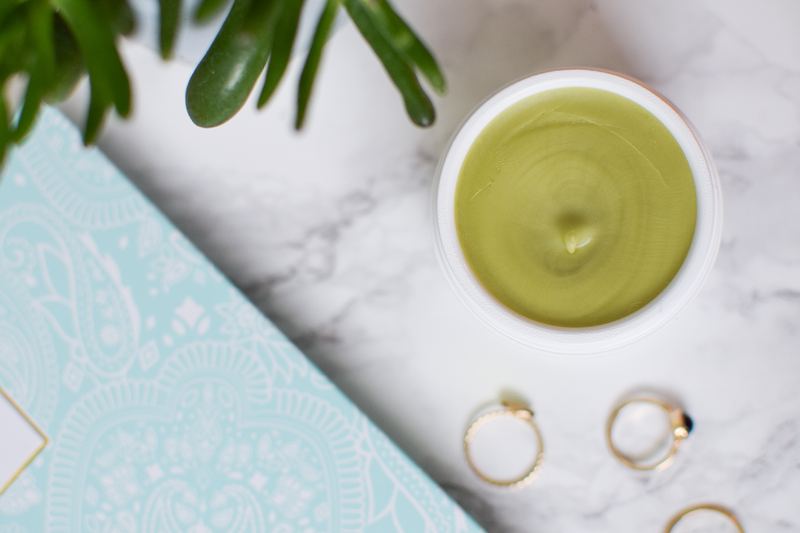 For my dry patches, I prefer the oinment, but I’ve been using the nurturing face cream as a day cream when my skin isn’t in need of extra special TLC. 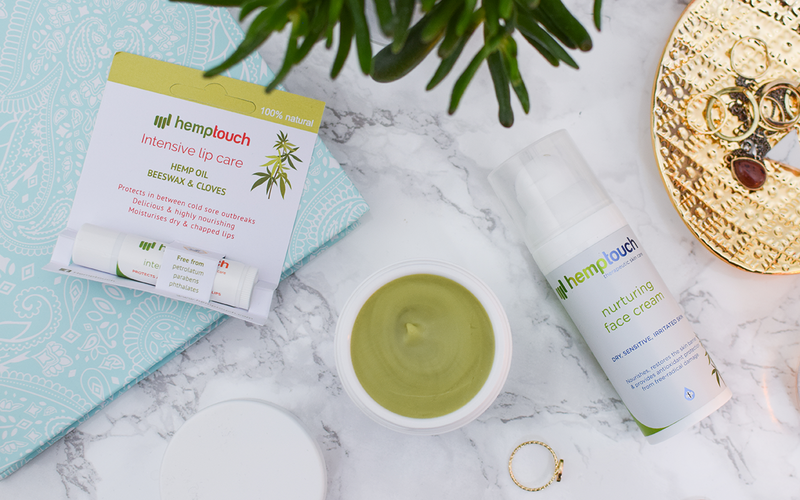 Before I forget (because I got so used to it), your nose will probably need some time to adjust to the scent of these hemp oil products, especially if you haven’t dabbled into the world of all natural skincare yet, but it isn’t intolerable or unpleasant at all. The Intensive Lip Care lip balm is my absolute favourite of the bunch, and one that never leaves my side anymore. 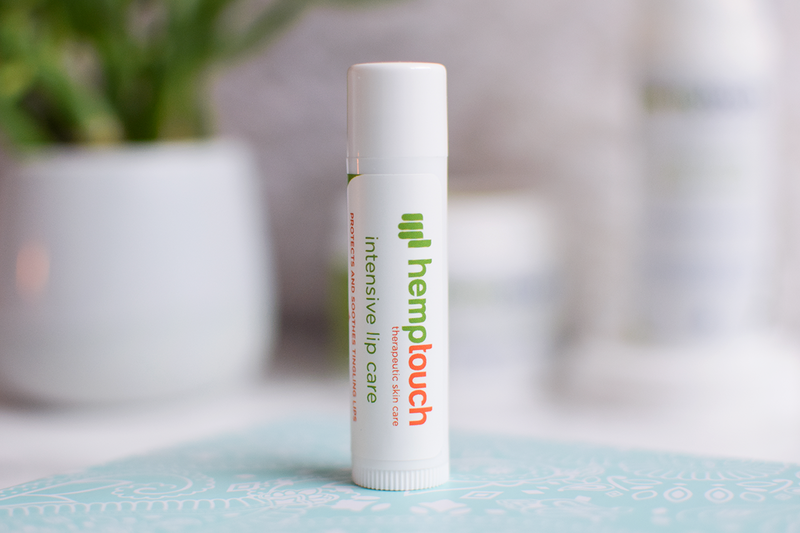 It’s by far the best lip balm I’ve ever tried – beyond buttery, and has even passed the ultimate test of keeping my lips soft in extreme weather conditions. A week of hitting the slopes at an altitude where the sun is scorching, the wind is strong enough to move you up the hill, and the icy snow being thrown in your face is not such a rare occurrence normally leaves my lips in havoc, but this year, there wasn’t a single crack in sight. 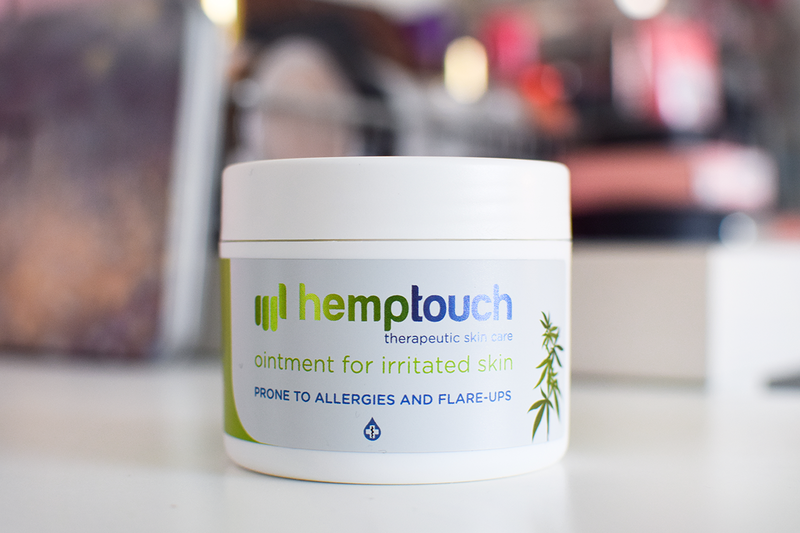 Thanks Hemptouch! In Slovenia, you can find their products over here on Zeleni dotik, but fear not, they’re also available in the UK on this website and even at Planet Organic! I already have an Intensive Lip Care backup in my shopping cart, and as an anxiety sufferer, I’m also intrigued by their new CBD sprays. A very informative article on skincare. Good post! Looks like a great brand. Thanks for the review!